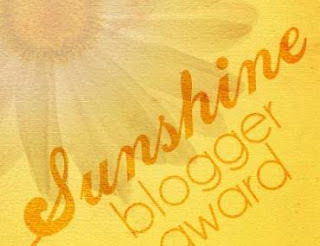 Mirwaners, in Sunshine Blogger Award program, I recently got 11 surprising questions from a travel blogger named Jasmi. I am glad and so excited to join this. Although the questions are little bit related to my privacy, I am willingly going to answer them all. I hope my answers will satisfy her. Firstly, let me thank her for nominating me to receive the award. 1. What came first? The chicken or the egg? Based on what I know, the chicken comes first. It is because there is something called protein in the body of the chicken. It is special protein that cannot be found in others animal body except in chicken. The protein then creates eggshells. The egg will not be created without this special protein. So, I naturally assume that the chicken comes first. 2. Become a businessman or a professional blogger? We know, there are many people say a businessman has much money in his or her pocket or bank account. I totally agree with the statement. Being a businessman is one of ways to have much money. Even though there are some people fail on their business, but it’s just a small amount when compared to people who successfully run their business. Anyway, a professional blogger can make money as well. It just depends on how serious a blogger manages his or her blog. You know, I like blogging. I got many things from blogging such as, friends, followers, knowledge, and also money. I can express and share anything in written form and spread it to the world. And it might also inspire the readers. That’s way I prefer to be a blogger, hopefully become a professional blogger one day who gets many things, rather than a businessman who focuses on money only. 3. If you are given a chance to go abroad, which country do you want to visit? Why so? One of my dreams in 2017, as I said on previous post, is to go abroad. Read the post here. Some years ago, I dreamt to be in America. I didn’t know why. I just felt that America looks great. But since Donald Trump rules this country, I changed my mind. I prefer to visit other country if I have a chance to go abroad. I choose Australia as the destination to visit. As my close friend said that Australia is a recommended country to travel or continue my study in master program. She has spent 2 years living there. She said the people are very welcome and friendly. Strangers can live peacefully there. There are also many beautiful and historical places. So, I think I’d like to visit Australia one day. 4. What is your beautiful dream you have ever had? I think I have many beautiful dreams. One of them is that flying. Yes, in my dream, I can fly away like a bird out there. Although it’s illogic, believe it or not, I have dreamt it millions times. When I sleep, it always appears on my dream. I think there are many people other have dream like I had. 5. Korean Drama or Japanese series? These options got me! If I have another option, I will choose neither Korean Drama nor Japanese series. I actually don’t really like to watch a non-English film. Anyway, in this case, I have to choose one of the options given, right? So, based on some films that I have ever watched, I prefer to watch Japanese series rather than Korean Drama. Don’t ask me why. It is related to boyband ‘thing’. Korean is well-known as boyband country. And I just don’t like boyband. Even though there’s no correlation between Korean Drama and Boyband, but the actor, the face of all Korean Drama actors and boyband artists look similar. 6. Who is inspiring you so much? It depends on some situations. In blogging, the person that inspires me is late Cumilebay. For me, he’s the best blogger and so friendly. He inspired his followers from blog and Twitter. He always friendly responded when interacting with him. In life, the person who inspires me is, of course, Prophet Muhammad PBUH. He inspires every inch of step of my life. 7. What is your dream when you were in primary school? When we were a child, surely we have ever been asked what we will be. I have ever been asked by my teacher when I was in primary school “What do you want to be?”, “What is your dream?” I still remember what my answer was. I wanted to be a pilot. I watched TV a lot and saw a pilot flew and did something great. But now, it’s changed. I am not interested at all to be a pilot. 8. What song that reflect your life? Hhhmmm… I think there’s none of songs that exactly reflect my life. But do you know song Gapapa Jelek Yang Penting Sombong? A song by Youtubers, Chandra Liow and Devinaureel. Just open Youtube and search the title, then listen to the song carefully. I think this song little bit reflects what I am now, my life. 9. Which part of your body that you love the most? Oh my god! What kind of question is this? I love all parts of my body. I love my hands, my legs, my stomach, my head, and that ‘special part’. Well, if you force me to choose one, I would rather to choose my eyes instead of other parts of my body. I just think that if I am not able to see, my other body parts are useless. 10. What is your best effort to become a great blogger? I have been trying to be a serious blogger since a year ago. I hope I will be a great blogger someday. To be a great blogger, I do some efforts. I always write and capture photos for blog by my own. I won’t copy someone else’s writings and paste it on my blog. It’s illegal, isn’t it? I write about something that surely useful for others, such as travelling tips, beautiful place to visit and many more. To make friends, I do blogwalking. I visit someone’s blog and leave a positive comment. Besides, I design and edit my blog template in order to look user friendly and fast loading. 11. How important that a blogger should write in English? It depends on what his or her passion on blogging. If a blogger wants his writings to be read by people around the world or he wants to practice writing in English, then he should use English in writing his blog. But if you focus on Indonesian readers and visitors, I suggest to not using English in your writings. You have to know one thing, in Indonesia, there are not many people are eager to read something in English. Well, it’s all depends on us as a blogger. Well, that’s all. I know, some answers may confusing. But, yeah… that’s all I can write and answer. I am sorry for breaking the rules that I should nominate other bloggers to do the same like this. I don’t know who I should nominate to receive the award and write them 11 new questions. Hehehe… Thank you so much, Jasmi. It's so fun. Someday we all become a great blogger, if we believe it. Iya, bener banget mbak. Meskipun ia sudah tiada. Yes. We have to believe it and be optimistic. Semoga mas sehat sehat terus, dan bisa jadi blogger yang terkenal dan jangan lupa doakan saya juga supaya bisa jadi blogger terkenal juga amin. Kalo boleh tau mas ini nama templatenya apa yah mas. Amiiinnnn ya rabbal alamin. Makasih ya mas. Semoga mas Andi juga sehat-sehat selalu dan menjadi blogger terkenal. AMin! Hehehe... iya mas, enak lagunya...sampe-sampe saya download lagunya, versi MP3 dan video nya. How nice to read this. Most of the questions are very hard for me, haha... Bussiness woman or professional blogger, for me the 2nd one cause I can run business from my blog :D Yes, MasCum is very humble and most of us really sad while knowing he's passed away. I also have English blog just for remember the grammar, haha... That's why just write about daily life. Yes, mbak Nita. The questions are indeed very hard for everyone to answer for public. You are right, we can run a business from blog. I think we can be both a businessman and a professional blogger at once. As you said, we can run a business from blog. Actually I'm not that seriously writing in ENglish for blog.